We are glad to announce that on April 12th, 13th and 14th we will celebrate our 6th Batizado, with the presence of Mestre Calango, (Grupo Uniao Capoeira) and our Mestre, Mestre Marcelo Caveirinha. 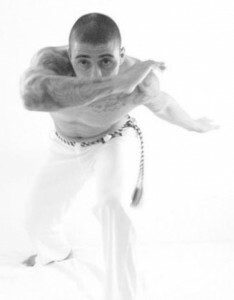 Three days of great capoeira! 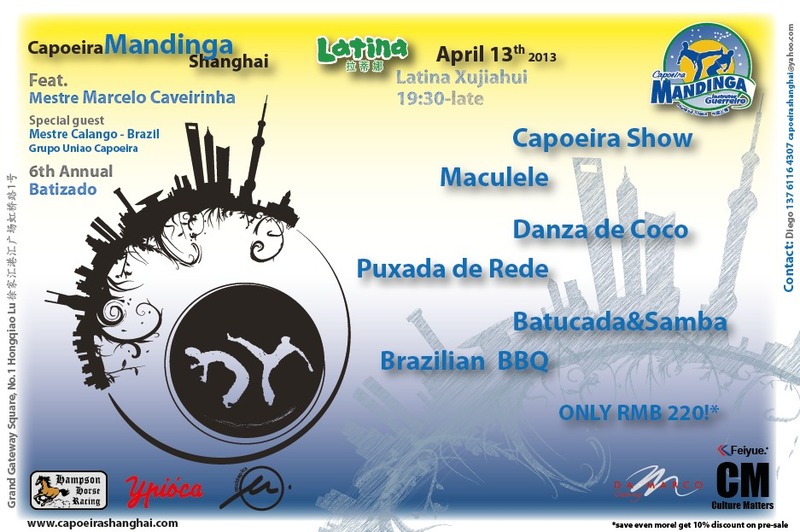 On Saturday 13th, massive party at Latina restaurant with many performances (Danca de coco, Maculele, Puxada de rede, Capoeira, Samba and more!) and great food and caipirinha. Download flyer here! 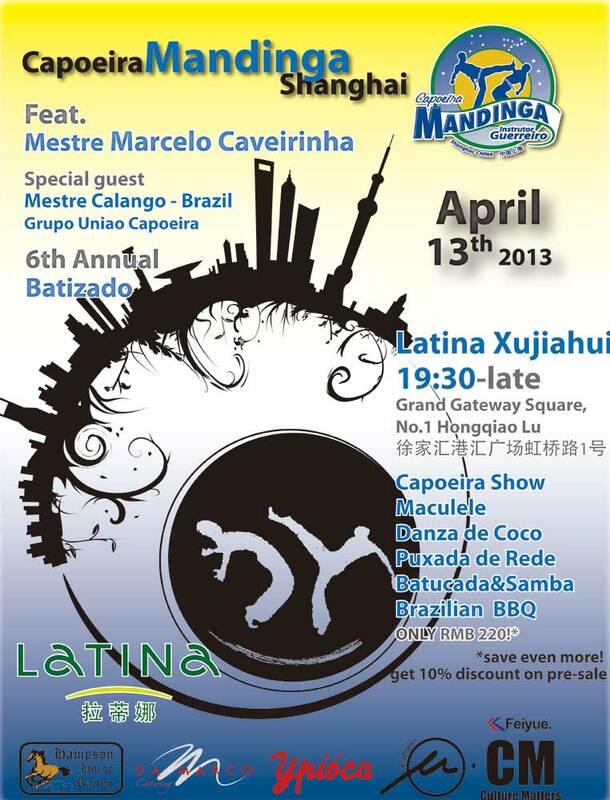 Mestre Calango will arrive to Shanghai on April 4th teaching workshops every day until the batizado weekend. More details will be provided soon. Stay tuned.